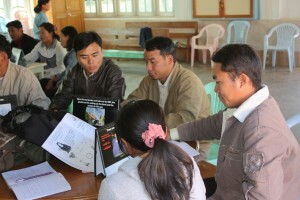 The Buzz Off training team is preparing to run Malaria seminars at two more locations inside Burma. The Seminars will be run in Hpa-an and in the Delta region. More than 60 people will be expected in Hpa-an and more again in the Delta. The Buzz Off seminars have already lunched 3 medical networks that are doing malaria education, and treatment work in Burma – these networks are seeing significant reduction in the malaria in the areas in which they are working. A team report will be published in July once the team arrives back in the country.